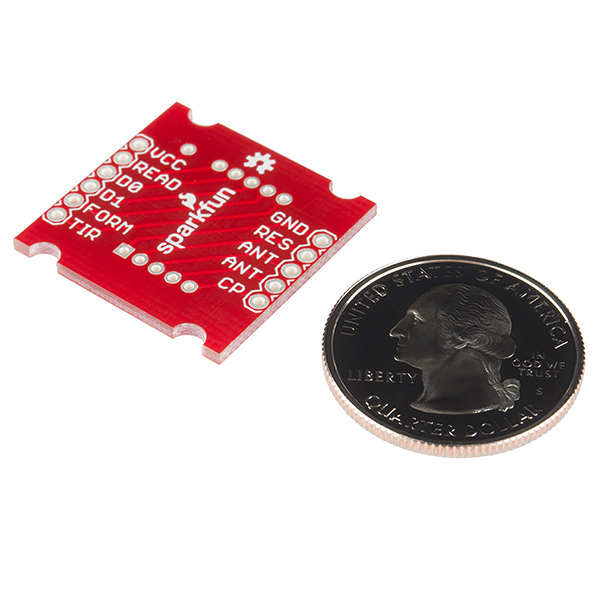 This is a simple breakout board for our RFID readers. 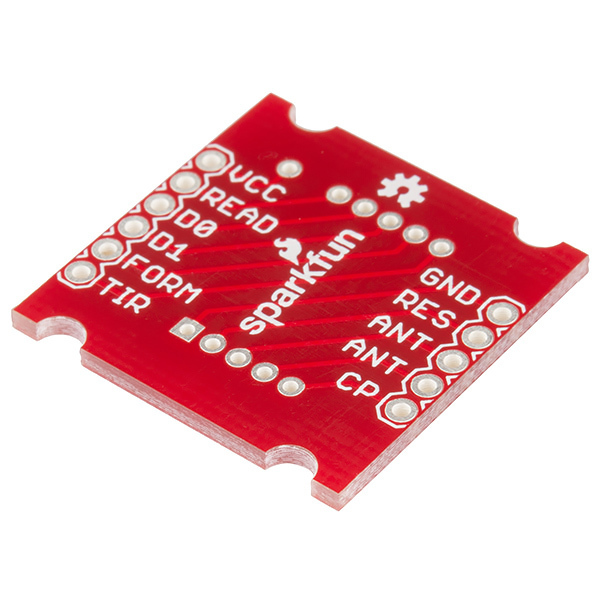 The SparkFun RFID Reader Breakout converts the 2mm pins to bread board friendly 0.1" headers. 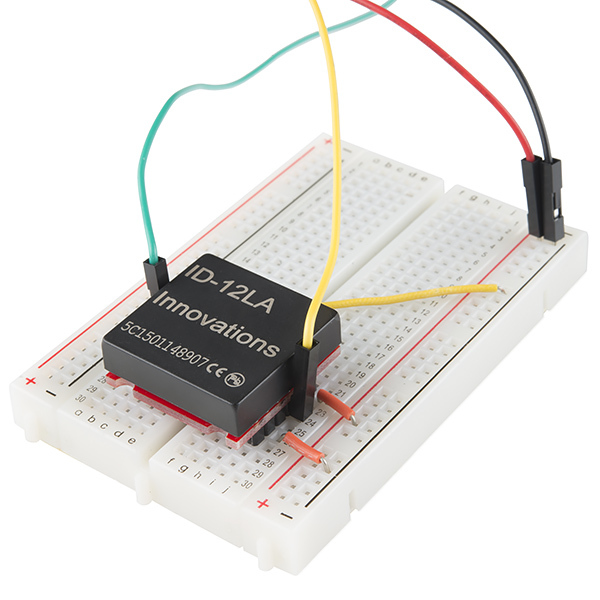 With this ability the ID-3LA, ID-12LA, and the ID-20LA you can solder the reader directly to the breakout board or use the 2mm sockets. This breakout board's edges actually fit flush within the under side the ID-12LA. The board also works with the ID-20LA, but is smaller than the edges. 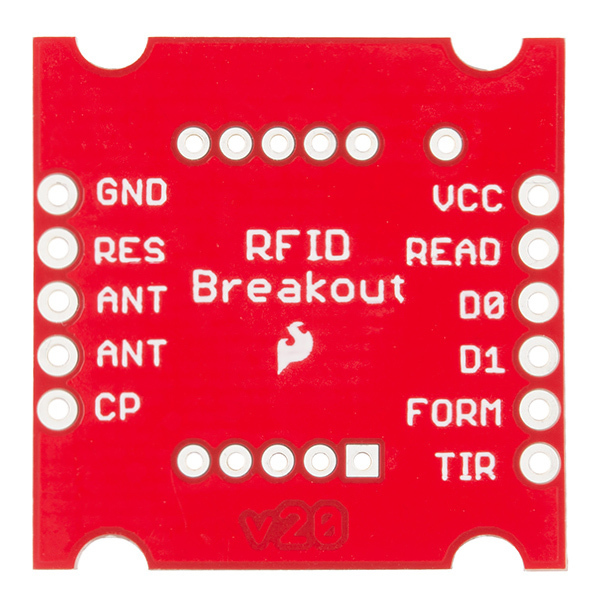 As stated before each pin of the RFID reader has been broken out including: VCC, READ, D0, D1, FORM, TIR, CP, both ANTs, RES, and GND. 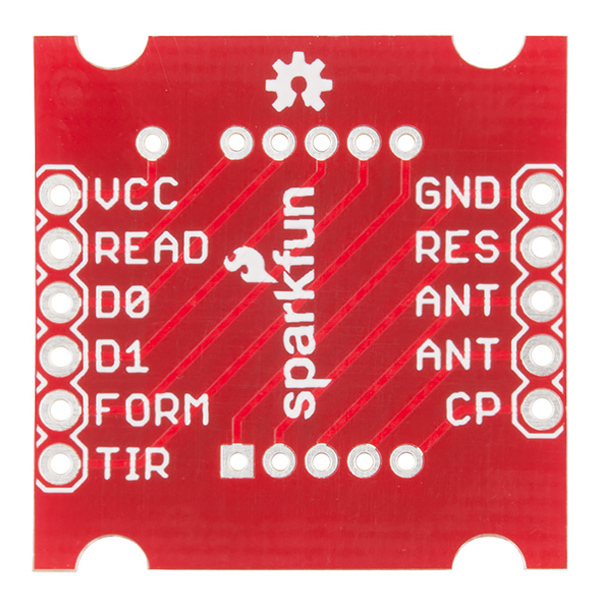 We've even added four half-mounting holes to the board to easily secure your project! Note: If you are concerned about soldering this board directly to the RFID reader, you can use 2mm sockets instead. This is due to the RFID being sensitive to heat and should be handled with care or if you would like to switch the readers out as you please. Need to test your reader with an Arduino? Use the hookup diagram and sample code you can find here to do so! Folks, do you sell 2mm pins to solder to these (weird) sockets? We typically cut and use these. make sure to get the the 2mm sockets and some 0.1" headers with it. The socket soldering is pretty tight, and I made sure to follow some tips from that product page to punch the pins through parchment paper and into the holes before soldering in order to prevent solder from flowing into and clogging the sockets. I cut my headers and sockets using small side cutters, for the sockets just make your cut in the middle of the next socket. you can pull out the pin between vcc and read using pliers. i'm working on designing a solder on board with space for LED's and a rj45 jack to connect back to an arduino. I'll post eagle files for that, when it's done.